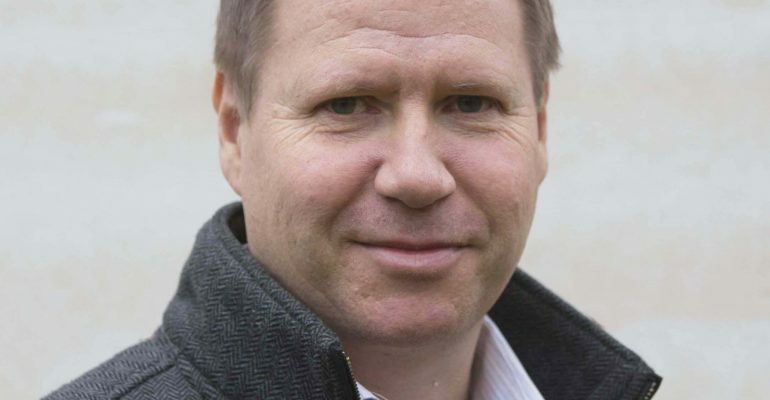 Per Lysaa is CEO of Intravision Group, a photobiology and systems integration company working with new technologies for production of foods and plant-made pharmaceuticals. Headquartered in Oslo, Norway, they also have offices in Toronto, Canada and Shanghai, China. In 2010, Intravision partnered with the University of Guelph Environment Systems Research Facility to integrate their spectrum-variable LED light technology into controlled growing environments. Thus began a pioneering venture into the field of controlled environment agriculture. Per Lysaa invented the GravityFlow system in 2015 intending it for automated production of Plant Made Pharmaceuticals via transgenic tobacco and vacuum infiltration of agrobacterium. Tuning this system towards food production, a pilot leafy-green facility became operational in Toronto during spring of 2018, and currently large scale facilities are under construction; one facility is in New Jersey vis-a-vis Manhattan, and the second is in St Catherine’s, outside Toronto. The commercial aim for these facilities is to demonstrate ability to compete with superior quality produce on commodity-scale and -price level. The first phase of a planned large scale roll-out. The technology is co-developed by Intravision Group, with a Canadian space research institute; other partners include the Controlled Environment Systems Research Facility at the University of Guelph, and Canadian and American partners on process-automation and air-dehumidification. Ongoing research includes the development of an “smart farmers assistant,” a tech-transfer tool aimed to ease the operational barriers between facilities, encompassing a new generation of facility control software which are being developed for deep machine learning and AI. Meet Per Lysaa and a host of other AVF CityChangers at Urban Future Global Conference, Europe’s biggest event for sustainable cities. Unlocking the Potential of Indoor Farming in Cities of the Future is your chance to meet and engage with influential figures in the world of indoor farming. We invite you to take this opportunity to join in the conversation and help grow the industry!